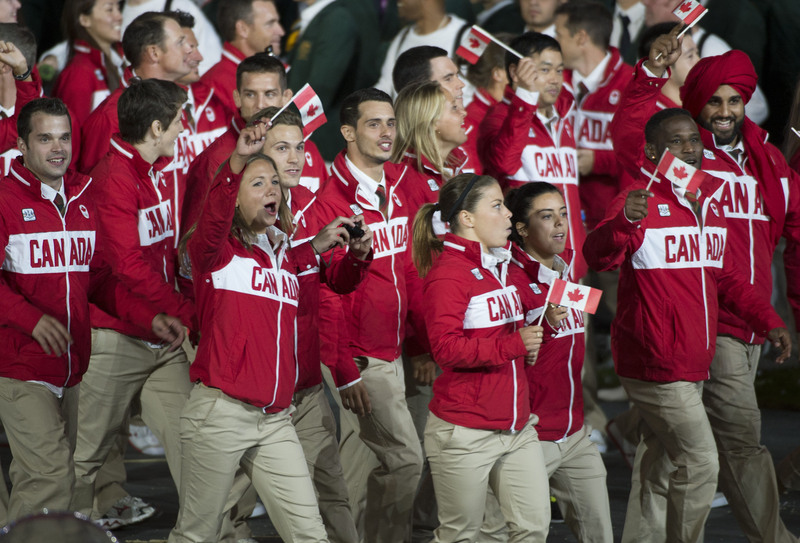 Lead by two-time triathlon medallist and 2012 opening ceremonies flag bearer, Simon Whitfield, the Canadian Olympic Team marched proudly into London Olympic Stadium. 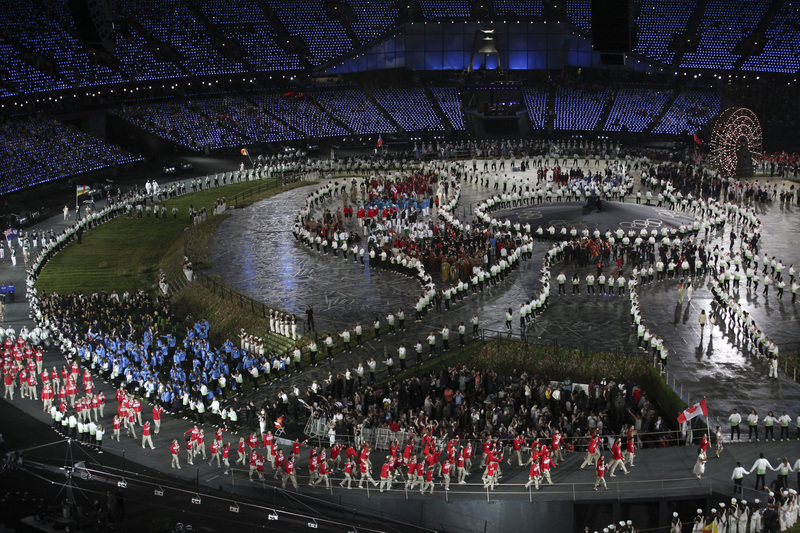 The ceremony marks the beginning of 17 straight days of competition for our 277 Olympic athletes competing in 26 different sports. 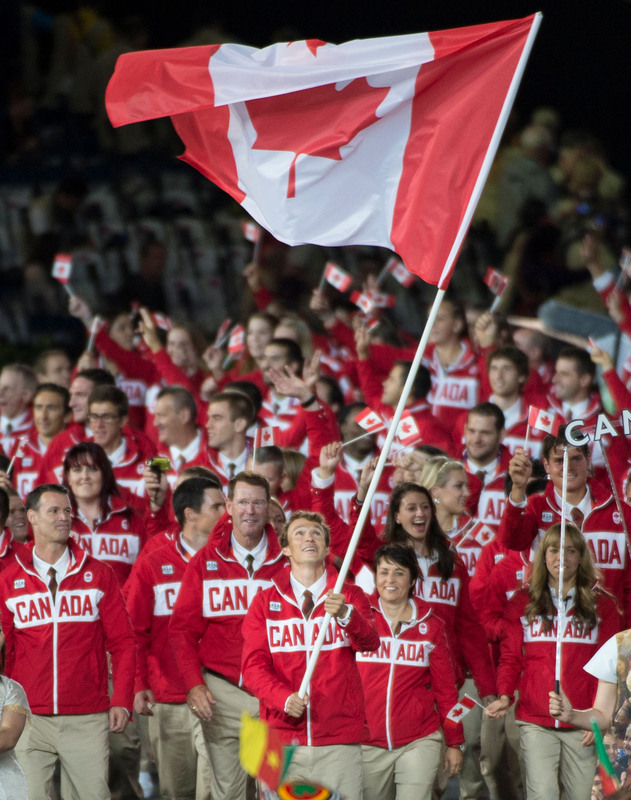 Two-time triathlon medallist Simon Whitfield bears the flag for team Canada during the opening ceremonies to the 2012 London Olympics, on July 27, 2012. 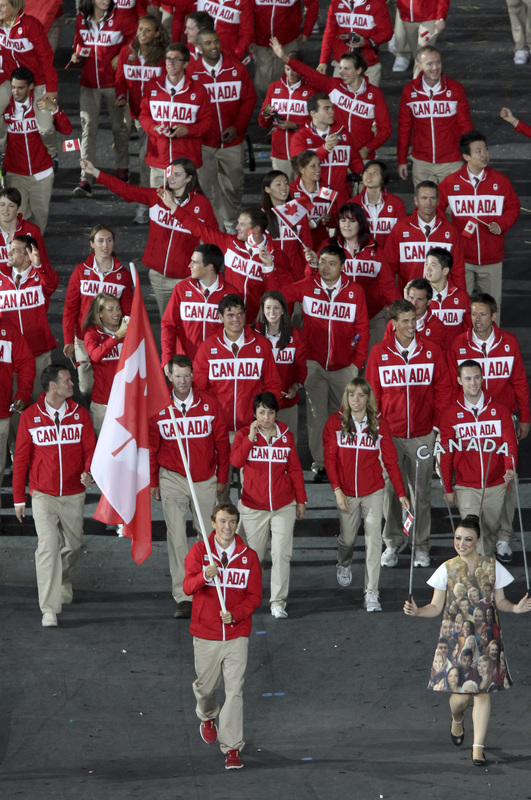 Members of team Canada march into the stadium at the opening ceremonies at the 2012 London Olympics, on July 27, 2012. 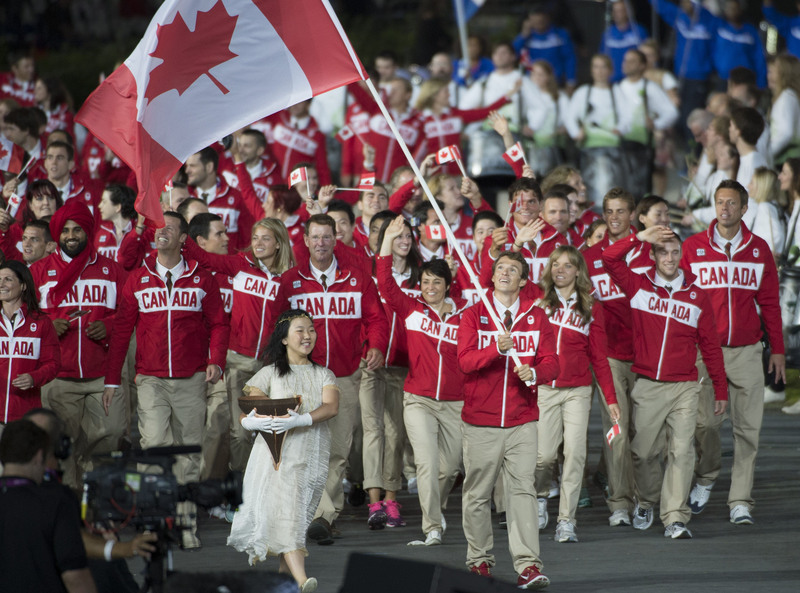 The Canadian Olympic team marches into the opening ceremony behind flag bearer Simon Whitfield at the 2012 London Olympics, on Friday, July 27, 2012.